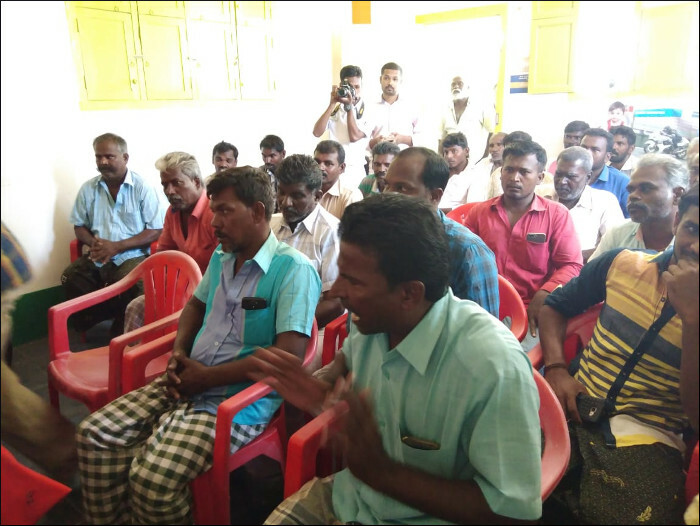 A Community Interaction Programme (CIP) was conducted at Taruvaikulam village, Tuticorin district on 06 July 2018. 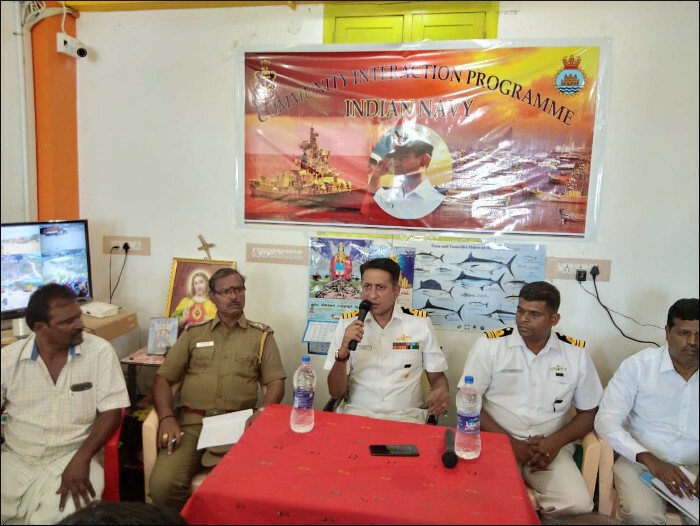 Indian Navy personnel along with representatives from Fisheries, Coastal Police and 75 fishermen participated in the campaign. 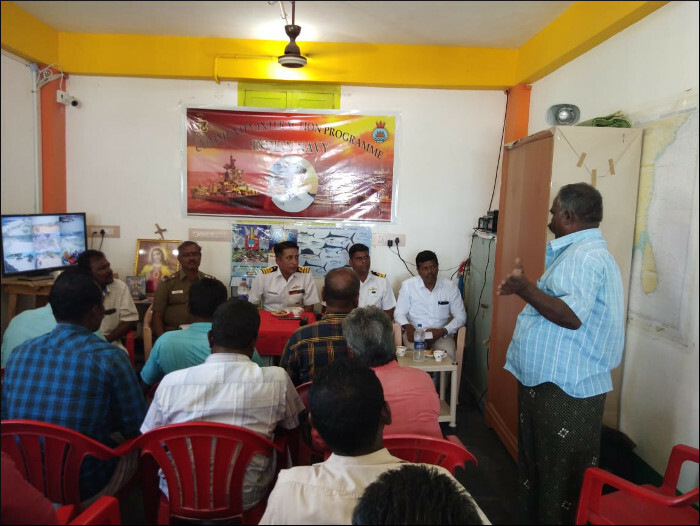 Various aspects pertaining to coastal security, communication procedures, safety at sea, biometric ID cards and fitment of transponders were discussed during the interaction. 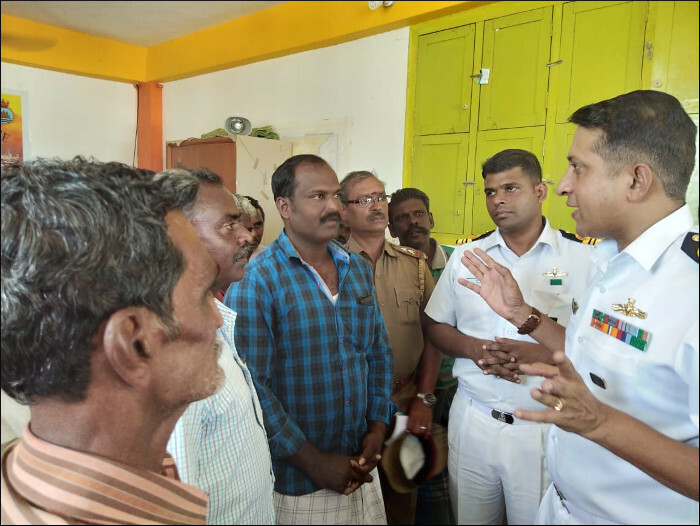 The fishing community was also sensitised on their vital role as eyes and ears of the coastal security construct.